The Multnomah Historical Association needs your help. We need volunteers for a worthy cause!! Do you have an interest in preserving the history of southwest Portland? Do you have photos or memorabilia to share (scan)? You can help with: Digitalizing History Center Records; Display Cases; Grant Writing; Historical Markers; Historic Preservation Month; History Center/Library; Homes/Buildings Research; Local Event Participation; Membership Meetings; Oral Histories; Newsletters; Publicity; Research Local History; Walking Tours; All Neighborhood Outreach. Questions? Contact us by phone at (503) 893-5549, or by email at: multnomahhistorical@gmail.com. Become a member and receive historic downloads & newsletters. Multnomah Historical Association: http://www.multnomahhistorical.com/, located at 2929 SW Multnomah Blvd., #107. Open Hours – Thursdays 2pm to 4pm and by appointment. Sat, July 13 will be the date for the annual alumni games held at Wilson. A no-host bar social will be held after the games at Toby Harris’ (89) Cider Mill/Fryer Tuck for alumni, family, and friends. Contact Jeremy Shetler '92. Sun, July 14 at 1pm, is the date for the annual shotgun golf scramble fundraiser at Meriwether National Golf Club in Hillsboro. Contact Jeremy Shetler '92. • 2012-13 fundraising events included House Parties, Restaurant Nights, Harvey’s Comedy Club Night, Auction Paddle Raise, monthly donations, corporate matches, etc. • Fundraising brought in over $62,000. Of that, approximately $ 17,350 goes to the PPS Equity Fund distributed through All Hands Raised. Wilson keeps $44,700 for Principal Chatard to use for additional core classes and electives. Huge thanks go out to Wilson families, community, alumni, local businesses, and Wilson Staff for their generous donations that support additional staffing at Wilson, allowing students to have more options and smaller class sizes. • 2013-14 Foundation House Parties: November 9th. Hold the date! It’s a fantastic time to reminisce with alumni or meet with current families – more info to follow in upcoming editions! We’re in the process of forming a Foundation Alumni Committee to connect alumni with their alma mater. Wilson could use your help TODAY! If interested in learning more about ways you can help today’s Wilson students, please call Linda Venti '83 503-780-1468. Show your support with a gift to the Wilson Fields Improvement Project http://wilsonfields.org/Events.html. In appreciation for your gift, we will install a brick engraved with your personalized message at the plaza in the Wilson High School stadium. Follow us on – Wilson Fields Improvement Project for weekly updates. DONATE PURSES & BAGS TODAY! The Wilson Area Arts Council is collecting new & gently-used purses, handbags, clutches, and messenger bags for the annual IN THE BAG: BENEFIT FOR THE ARTS at Wilson High School. This is our 4th year. We collect bags and other items and then sell them at a one-day sale and silent auction. Sun, November 10, 2013 from 10am to 3pm at O'Connors in Multnomah Village owned by Steve Arel '67. Last year we collected over 850 items and raised over $9,000 for choir, band, orchestra, drama, and visual arts at Wilson. Don't have bags to donate or can't come to the sale but still want to support the arts at Wilson, reach out to us on our Facebook page: InTheBagPDX; or email Linda Doyle or Jaci Evans. Brian D. Ratty (class of 1960) writes a long forgotten family story. RAIN Magazine is the prestigious literary publication of Clatsop Community College. This annual publication has been celebrating North Coast writers and artists for over forty years. This year one of his articles, Rescue From the Rock, was one of the selected featured stories. Click here to read:http://dutchclarke.com/ShortStories/rescuerock.htm. Contact info for Brian: 503.717.1125; Brian@DutchClarke.com; www.DutchClarke.com; www.Photo-Seminars.com. After graduating from Wilson, Richard Ditewig (1958) attended Lewis and Clark College, majoring in music. He graduated June, 1962 with a Bachelor of Music (B.Mus.) degree. He also earned a Master of Music (M.Mus) degree from Northwestern University in Evanston, Illinois in 1963. Richard returned to Oregon and worked as organist and music teacher at Good Samaritan Church in Corvallis from 1964 to 1967. He eventually made his way to San Francisco and worked in the U.S. Department of Education's Post-Secondary Student Loan Program from 1978 to 2008, retiring September, 2007. " In retirement I keep busy locally," adds Richard, "and do some organ/architecture history travel at least once a year, some times twice. This year I visited New York for a few days and later this summer I will visit parts of England and France to explore organs in churches." Richard's younger brother, Steve Ditewig, graduated from Wilson in 1962 and his sister, Priscilla Ditewig, graduated in 1965. After graduating from Wilson, Gary Wooldridge (1964) went on to graduate from Multnomah College (a private college established in 1897, located in Portland and later absorbed by The University of Portland in 1969). He also attended Portland Community College. Gary has spent his entire career in the Electronics Industry. He is the founder and owner of Electronic Component Sales Inc. for 42 years (http://www.ecsrep.com/). He started the company in 1975, an outsourced professional sales organization for electronic manufacturers with two office locations. The home office is located in Sammamish, Washington and a branch office is located in Portland. Gary is married to Chris. They have two children and five grandchildren. Gary and Chris have a very active lifestyle, enjoying RVing, hunting, traveling, and fishing in Alaska. He considers himself a "late bloomer" and urges current Wilson students to "keep your heads down, study, get a technical degree, and work hard. It pays off!" After graduating from Wilson in 2003, Jeanine Amacher attended college at the University of Oregon, where she received a Bachelor of Science degree in Physics, with minors in Biochemistry and Biology. In 2008, Jeanine moved to New England and started a Ph.D. program at Dartmouth College. She is currently in her 5th year of graduate school, and anticipates defending her thesis this fall. Click here to read more about Jeanine, her favorite Wilson teachers, and words of wisdom: http://www.wilsonalumni.com/newsletter/2013/Jeanine.Amacher.2003.html. Greg Tainter graduated from Wilson in 2006 and was just accepted to The University of Cambridge to pursue a doctoral degree in physics/materials science enginneering starting this fall. The University of Cambridge, also Informally known as Cambridge University or Cambridge, is located in Cambridge, England and is one of the most prestigious institutions of higher learning in the world. Click here to read more about Greg, his time at Wilson and some of his favorite Wilson teachers: http://www.wilsonalumni.com/newsletter/2013/Greg.Tainter.2006.html. After graduating from Wilson in 2003 as a Valedictorian, Megan O'Connor headed off to the University of California, Berkeley. She earned a B.A. in Integrative Biology with a minor in Slavic Languages and Literature. She is currently going into her 4th year as a Ph.D. student at the Geisel School of Medicine at Dartmouth in the Microbiology/Immunology department. Follow this link to read more about Megan: http://www.wilsonalumni.com/newsletter/2013/Megan.OConnor.2003.html. The Wilson High Portland class of '63 reunion committee is in the process of planning their 50th reunion. The primary event will be on Saturday, September 28, 2013. Class members should contact WWHS63@gmail.com for more information. We are gathering downtown at the The Original Dinerant, 300 SW 6th Ave, on Saturday, October 12, 2013 from 6-11 pm for our 40 year (gulp) reunion!!!! See our website at http://wilsonhigh1973.wix.com/wh1973pdx or find us on Facebook: Wilson High ~1973~ Class Reunion ~ Portland, OR. For more info, email us at WilsonHigh1973@gmail.com. Check out the reunion postcard with all the details. Classmates have organized your reunion, July 19 - 20, 2013. The event Friday night will be at Davis street Tavern on NW 5th in downtown Portland. The event on Saturday night will be at Downtown Hilton on the 23rd floor. Both events are open to alumni, friends and family or anyone that did graduate or would of graduated but didn't due to a move or other reason. For those that want to attend, please email us at wilsonhigh1983@gmail.com. They are on facebook and would appreciate help finding "lost" alum for the reunion. The Class of '88 is having a very casual 25th reunion picnic in Gabriel Park on Saturday, August 10th from noon-2:00. Questions, contact Sarah Barrett 503-568-5864. To be held Saturday, September 21, 2013 at On Deck Bar and Grill in NW Portland. There will also be a barbecue for families on Sunday, September 22, 2013. More information to follow. 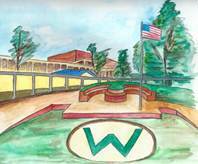 There is also a facebook group called Woodrow Wilson High School Class of 93/20 year reunion. Questions, contact Rebekah Bhansali by clicking on her name.